One of the world's most luxurious island resorts has chosen Brandman to help raise its profile in the UK, and more from PRWeek UK. 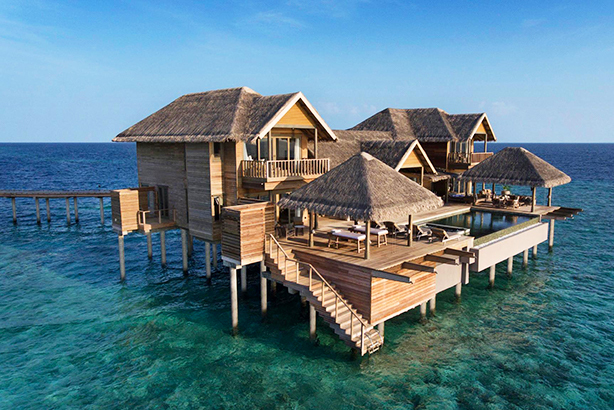 Luxury resort Vakkaru Maldives is the latest addition to Brandman’s growing portfolio. Located in the heart of the Indian Ocean, the resort offers guests the choice of 125 beach and over-water villas and suites, as well as up to four farm-to-table restaurants, two bars and an array of spa treatments. The agency will be charged with raising a "deeper awareness and education of Vakkaru Maldives amongst the UK market". FleishmanHillard Fishburn’s (FHF) brand team has won the UK PR account for Changi Airport Group’s new lifestyle destination, Jewel (above). FHF was appointed after a competitive two-stage pitch process and work starts with immediate effect. The remit includes UK PR strategy, media relations and a proactive and reactive UK press office over an eight-month period. 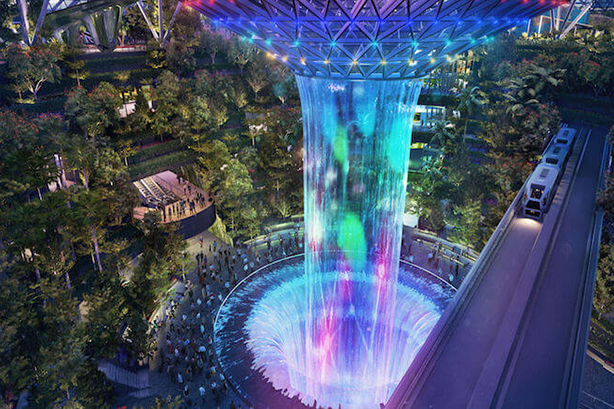 FHF has been tasked with the objective of promoting and raising awareness of Jewel’s offerings and attractions, and stimulating a desire in UK passengers to travel to or transit through Changi Airport. WPP-owned 'marketing implementation' agency Hogarth Worldwide has appointed Clarion Communications as its UK PR and social media agency. Clarion has been briefed to help elevate Hogarth’s profile and reinforce its position as the world leader in creative production. Social media activity will focus on campaigns across Twitter, Facebook and LinkedIn. PR campaigns will highlight the breadth and depth of Hogarth’s creative solutions, while shining a light on the talent and culture that helps bring this to life. Brookson Legal Services has appointed Speed as its retained PR agency to deliver a campaign ahead of a major IR35 tax regulation change, which will impact employers who hire contractors. To stop ‘disguised employees’ avoiding National Insurance contributions by claiming they were self-employed, IR35 originally obligated workers to classify themselves as either ‘employed’ or ‘self-employed’. However, from April 2020, that obligation, and the associated tax risk, will no longer fall on the worker, but with the hirer. The appointment will make full use of Speed’s capabilities, including video, podcast and visual content development, industry research and editorial reporting, alongside social media and reactive and proactive press office activity. CollectPlus has appointed Adhesive to deliver a media relations campaign ahead of a key spring retail period to drive awareness and trial of the brand’s Click and Collect service. Targeting young professional females who regularly shop online, the campaign will seek to drive relevance and consideration among this audience segment. In addition, ClassPass UK has appointed Adhesive as its communications agency. Adhesive will be responsible for media relations and influencer campaigns across trade and consumer touchpoints. The agency will deliver a creative campaign across the summer to support the new brand positioning, and support the brand’s UK expansion plans across regional cities including Brighton and Bristol.